Ramdom promotes and supports different residency projects. As part of our research-project Investigation on the Extreme Landslaunched in 2014, Ramdom hosts artists and researchers of different disciplines to take part in this constant critical process on the human and natural landscape. This of Ramdom is a cross-disciplinary residency open to professionals in the visual arts: artists, curators, and researchers; or coming from other disciplines: writers, anthropologists, linguists, architects, urbanists, geographers and, professionals from scientific disciplines. Although this is a research residency not aiming at the formalization of an artwork or its production, we can possibly consider providing a final open studio or a public discussion (talk, panel discussion, round table) in the case the research crosses Ramdom’s interests. In this case, Lastation will be installed as an open in-progress laboratory and the residency could potentially open the door to a future continuation of the research. Is a residency aiming at developing a personal project. If you are interested to be inspired by such a powerful and evocative landscape at the end of the Earth, in the heart of the Mediterranean sea, you can send us a proposal. This of Ramdom is a cross-disciplinary residency open to professionals in the visual art: artists, curators, and researchers; or coming from other disciplines: writers, anthropologists, linguists, architects, urbanists, geographers and, professionals from scientific disciplines and hiker. The networking residency offers the possibility to expand your professional network, catching up with the local context, receiving studio visits with curators and directors. 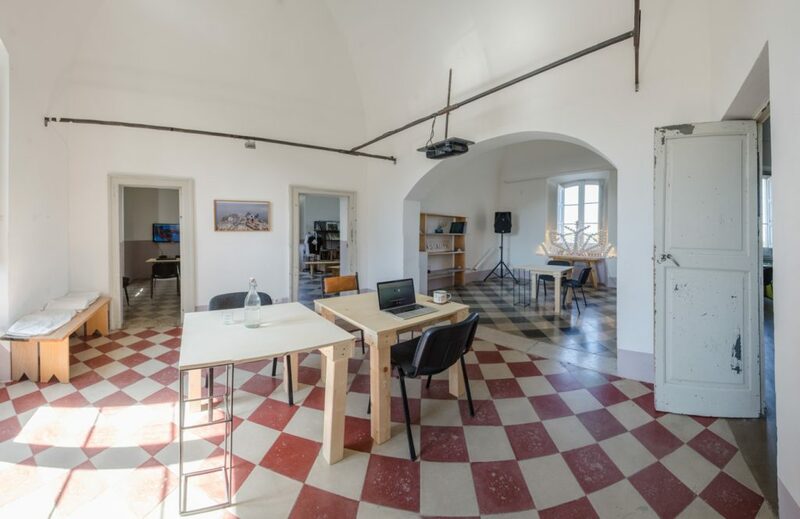 The residences are held at Lastation, artistic and cultural space on the first floor of the last railway station in the south-east of Italy. Lastation has an equipped studio, in which artists can stay. In the case of periods of longer periods of residence provides different solutions for your stay.